If you carry around many gadgets on a daily basis, you'll know what an awkward experience it can be. Proporta's Gadget Bag neatly packs all your devices together, while also reducing the threat of damage. 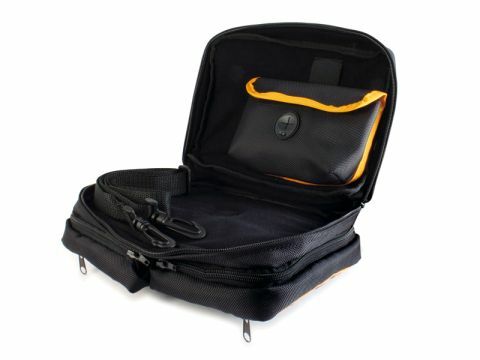 Four padded compartments of varying sizes let you carry anything from a 9-inch netbook to an MP3 player. All but the largest sections are detachable and feature a dedicated headphone access point. The design is robust and includes a removable shoulder strap. The level of protection is impressive, while the removable compartments provide great versatility when out and about. An excellent product all round.